A resource list is an indispensable tool I use in my professional life as a life coach and in my personal life to achieve my own goals and objectives. In fact your life resource list, it’s a tool that is absolutely critical to the achievement of success in any field of endeavor. Resource lists are very much like the food we eat on a daily basis that helps nourish our bodies. We eat this food because it provides us with the energy we need to do what we do throughout the day. Likewise, our resource lists provide us with the nourishment we need to overcome obstacles and achieve our goals and objectives. Developing your own life resource list could very well be the start of a remarkable journey of transformation. Likewise, it could determine whether or not you achieve your goals or overcome those niggling obstacles that are standing in your way. But what exactly is a life resource list? A life resource list provides you with helpful strategies, ideas, answers and solutions that will help you achieve your goals and objectives. Life resource lists will give you a set of tools you can use that support the tasks and projects you are wanting to achieve. They also supply you with everything you need to overcome obstacles, challenges, and problems as they arise. Resources can be classified as being external (outside of you), or internal (inside of you). External resources may include books, blogs, journals, software programs, gadgets, support from others, etc. While internal resources can include things such as the knowledge, qualities, habits, critical skills, emotional techniques you have learned, etc. Finally, it’s important to classify resources as being acquired and required. Acquired resources are the resources that you currently have at your disposal to help you achieve your goals or overcome the obstacles standing in your way. Your required resources, on the other hand, are resources you have identified that you need to accomplish your goals, but you haven’t as yet acquired them. The key here is to identify your current set of resources, and then pinpoint the resources you still need — developing a plan of action on how to acquire them. Venturing out to achieve a new goal can be a rather daunting experience, especially when we are unfamiliar with the territory or haven’t accomplished anything similar in the past. This is, in essence, the first hurdle that we must overcome. And in fact, this is the hurdle that stops many people in their tracks — dreams never become goals, and goals never become reality. If I don’t know what to do, where to begin or how to achieve this particular goal, then how in the world am I going to get it started in the first place? This is where a life resource list comes into play. Over several years now I have kept a life resource list of things that could potentially assist me to achieve my goals. Any new skills that I have developed, new information I have acquired, techniques I have learned or productivity tools I have gained access to, I simply add to my life resource list, which keeps growing over time. What resources on this list could help me achieve this goal? This provides me with clarification and confidence that I already have a few tools that I can immediately make use of that will help me get started on this new venture. What resources will I possibly need to help me achieve this goal? How will I go about acquiring these resources? Once I have listed the resources I need to achieve my goal and have developed a plan of action on how to acquire them, then I am finally ready to begin moving forward with greater confidence and assurance that this goal can actually be achieved. Every goal that I am wanting to achieve has a set of obstacles or roadblocks that are typically attached to it. I must therefore effectively overcome these roadblocks in order to achieve the goal I want in my life. To do this I must first identify what obstacles could potentially prevent me from achieving my goal while keeping in mind Murphy’s Law. What resources do I currently have on hand to help me overcome this obstacle? Are these resources adequate, or will I need additional resources to overcome this obstacle? What additional resources must I acquire? How will I acquire these resources? These questions help clarify what it is that I need to do in order to overcome the obstacles that may prevent me from achieving my goal. With this information, I am now more confident and capable of handling the obstacles standing in my way. On the other hand, if I didn’t have this information, then I may simply not know what to do when confronted with setbacks. There are a plethora of different kinds of life resources that you can use to help you accomplish your goals and overcome obstacles. These are personal qualities and strong attributes of my character that can assist me to achieve my goals. What indispensable qualities do I have? How do these qualities assist me? This includes affirmations, quotes, power words and questions that I can use for different purposes. What quotes can help guide me? What power words move me forward? These are emotional anchors that I have created. What empowering anchors have I created? These can include beliefs about self, others, and beliefs about life. What empowering beliefs do I have? This is the time you have available to work on your goals. This is important because the one thing we can’t get back is time. Therefore time is one of the most important and indispensable life resources we have available to us. What time do I have available to me? When specifically is this time available? How can I best use this time to achieve my goals? This is the support you can acquire from others to help you accomplish your goals and overcome obstacles. Where can I gain the support I need to achieve my goals? Who can provide me with the support I need? How exactly can others support me in my ventures? It is important to list specific habits that you cultivate on a daily basis that can be used to help you accomplish your goals. 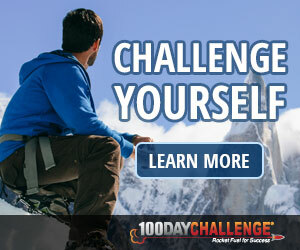 What personal habits do I cultivate that will help me accomplish my goals? Every goal can be acquired and obstacle can be overcome with a certain set of skills that you have at your disposal. What skills do I have that can help me accomplish my goals? These are any physical possessions you have on hand that can help you along your journey towards your goals. The possessions you list here will represent different things to different people. For some people, it might be money, while for others it could be something completely different. The key is to identify what you currently have on hand that can assist you. What possessions do I have that could be useful to help me accomplish my goals? Being able to find the relevant information you need to accomplish your goals is absolutely critical to your success. You can gather this information from books, blogs, journals, newspapers, podcasts, magazines, etc. Look to these sources to help you find the information you need. Where can I access the relevant information I need to accomplish my goals? How specifically can this information help me achieve my goals? Knowledge is something that you own; something that is stored in your memory, and something that you can bring forth at any time. Look for knowledge that you already have that is immediately applicable and practical to help you acquire your goals. What knowledge do I have that is most valuable to help me obtain my goals? How you use your body at any given time has a dramatic impact on your emotions, which likewise influences how effectively you are able to think and what you are able to do at any given moment in time. This is why it’s important to maximize how you use your body in order to get the most out of your abilities in any given situation. Move with conviction, passion and a sense of purpose. Breathe deeply, walk with poise and confidence. How can I use my body to enhance my levels of confidence? Technology can be used effectively to boost your creativity, productivity and even to help you overcome problems. These days there are a plethora of online applications and websites that can help you get organized, manage your time and systematize your entire life. There are also desktop mind mapping applications, office tools, and then there are gadgets, iPhones, computers, iPads, etc. What technology and tools make me more productive? Which of these can help me to accomplish my goals? I have learned over many years numerous Neural Linguistic Programming and life coaching techniques, strategies and principles that I use to help me get what I want out of life. These techniques are indispensable and are an important part of my life resource list. What psychological techniques and strategies do I know that can help me realize my goals? Which of these techniques can help me overcome the obstacles that are preventing me from acquiring my goals? To help you begin creating your life resource list, it’s a good idea to start by identifying your personal strengths. What do I consider to be my strengths? What do I do better than most people I know? How can all these things help me accomplish my goals? Your first objective is to identify the goals you are wanting to achieve. These goals will then become the primary focus that will help you to develop your life resource list. Having clarified your goals, you must now take into consideration two important key factors. The first factor includes all the obstacles (problems, concerns, setbacks, roadblocks) that you may encounter as you move towards the achievement of your goals. Clarifying these will help you identify the potential resources you may need to acquire to overcome these obstacles. The second factor includes all the tasks and projects you will need to complete to overcome these obstacles. Identifying these will help you to get a better understanding of the work that will be required to help you achieve your goals. With your renewed clarity, now comes time to pinpoint all the acquired life resources you currently have at your disposal. Simply go down the list discussed above and insert all your resources into their relevant categories. Secondly, list all the required life resources you will need in order to overcome the potential obstacles that could prevent you from achieving your goals. How can I best utilize the resources I have to help me achieve my goals? How can I best utilize the resources I have to help me overcome potential obstacles? Where can I acquire the resources I need? How can my current resources help me acquire more resources? How can I best use these acquired resources to overcome potential obstacles? How can I best use these acquired resources to achieve my goals? Your life resource list should grow over the years as you mature and progress through life. Every experience you have, skill you master, and practical knowledge you acquire you should add to your life resource list because the BIGGER your list grows, the more confidence you will have and the more resourceful you will become in the face of adversity. The only challenge you may face along this journey is a method of collating this information in a structured and organized way. There are two methods you can use to help you build your life resource list that have worked for me. The first method is the old school method. This involves purchasing a ring bound folder with dividers that allow you to insert random pages between the dividers. Each divider can be labeled with a resource category, and you can add resources and pages to the folder as you piece your life resource list together. The second method involves using a mind mapping software application such as NovaMind to help you organize all your life resources in an easy to reference program. This is the method that I currently use and the method that I would highly recommend. Simply, begin by creating your main mind map branches listing all the life resource categories presented earlier in the post. Then insert sub-categories listing down all the life resources you have at your disposal. Finally, it’s important to distinguish between your acquired resources and your required resources. These can be color coded on the same mind map, or a separate mind map can be created for both. Someone once told me that the bigger your life resource list is, then the greater your chances of bringing your goals to fruition. The importance of this statement cannot be understated because when you are struggling to achieve your goals, it simply boils down to how you use the resources you have at your disposal. To put it another way, life resource lists are like the lottery. The more entries you have the greater your chances of success, however, unless you cash-in your winning ticket, you will never reap the benefits. You must, therefore, make the most of the resources you have at your disposal at all times. So the next time you are confronted with a large and seemingly insurmountable goal, simply turn to your life resource list for a solution, it may very well have the answers you are searching for. The High Achiever 10 Map Bundle includes a selection of hand picked maps that provide you with a framework for modeling high performance habits, rituals and behaviors of high achievers. The Success Habits 10 Map Bundle includes a selection of hand picked maps that are designed to help you develop essential habits and behaviors of high performing individuals. The Goal Setting 10 Map Bundle includes a selection of hand picked maps that are designed with two objectives in mind: To help you set more effective goals and to help you achieve them.